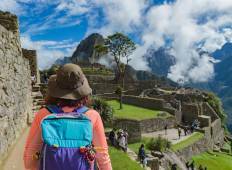 See the best 3 week tours through Peru. 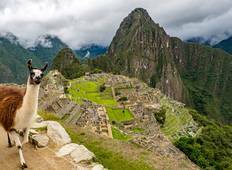 There are 128 tours going to Peru, with the most popular time to go being September, which has the most number of tour departures. "This is a fabulous trip! Juan is a great guide! Raphael and Jean Pierre are the best..."
"I was lucky enough to be part of FNEZ's inaugural trip to Peru. I had high expectations..."
"Majestic Peru is an exhausitve trip in all sense of the word. You get a good picture..."
"My husband and I (in our early 50's) took this trip with our sons who are 21 and..."
"This was the best tour my husband and I have been on so far. We made 2 life long..."